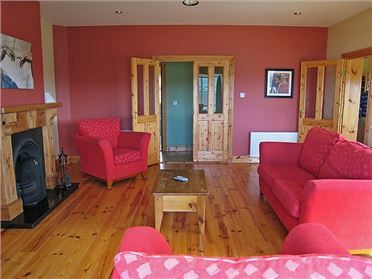 Tastefully renovated comfortable farmhouse adjacent to golf club and only 5 minutes drive to Letterkenny Town centre, Glenveagh National Park and Castle; Lakeside Centre, Dunlewey, Inishowen 100 touring route and the Fanad Scenic Drive. There are magnificent beaches near by. Wonderful views of the countryside and Lough Swilly from the house and gardens. 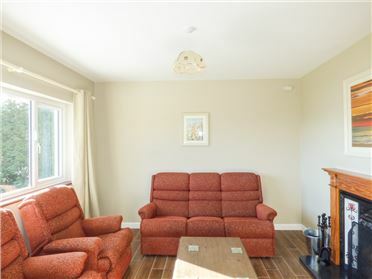 Situated in quiet rural location yet close to town for bowling, pitch and putt, dining and nightly entertainment. As you travel from the Holiday Inn, continue on to the roundabout. On the Ramelton Road (R245) take the third exit. Continue for 1.8 miles and take a right turn towards the golf club. Travel for 0.8 miles down the golf club road and we are located on the right hand side.